If you’re a baseball enthusiast, you may think you already know all there is to know about the most important teams, venues, and matches associated with your favorite sport. After all, what baseball fan isn’t familiar with the Chicago Cubs, the San Francisco Giants, or the Boston Red Sox? Who hasn’t heard of Fenway Park, the Oakland Coliseum, or Yankee Stadium? The fact of the matter is, local level baseball is just as important a part of the sport’s rich history as the major leagues are. Arcadia Publishing’s Images of Baseball series is a perfect fit for the baseball fan who thinks they’ve run out of things to learn about the sport. 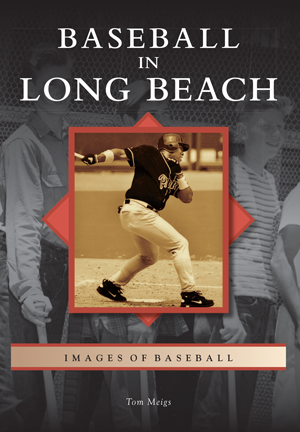 Each amazing volume in the Images of Baseball series shines a much deserved spotlight on a different team, place, league, or game in regional baseball history. Comb through stunning collections of vintage photography, enjoy little known lore related to favorite hometown teams, and honor groundbreaking pioneers throughout history. Compare and contrast the nuances of local baseball in cities like New Haven, Reading, Rochester, or Norfolk. Get to know local legends like the Toledo Mud Hens and the Pawtucket Red Sox. Explore your own hometown’s rich connections to baseball history, or indulge in a little armchair travel to completely new cities. It’s an absolute must-have for any American baseball fan!